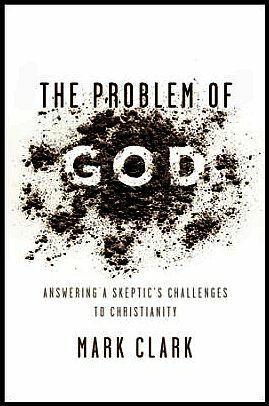 Mark Clark is the pastor of Village Church in Vancouver, Canada and is the author of The Problem of God, which we reviewed here in September, 2017. Yesterday evening he posted a thread on Twitter that probably few of you would happen to see. Christian: Reformed or Charismatic, left or right, get out of your own echo-chamber. Your naive, dogmatic, tribal and simplistic ideological ideas are painful to read over and over again. Straw men arguments are not respected. Dig deeper. Let’s work together around ACTUAL data. No, pragmatics aren’t the enemy! No, good doctrine isn’t the enemy. No, passionate preaching is not empty. No, doctrinal preaching isn’t always boring. No, that successful pastor in the States with the big house and big smile probably isn’t Satan’s servant. No, the local small church pastor of 200 isn’t less qualified for ministry. No, your non-educated self isn’t more organic or Spirit-filled than “educated” pastors. No, that church’s view on women, or governance, or preaching or whatever isn’t the enemy; Satan, sin and death is. No, video preaching isn’t wrong. No, faithfulness to expository preaching isn’t wrong. No, fighting for experiential Christianity isn’t wrong. No, big churches using methods you don’t aren’t WRONG. No, small churches aren’t better or more godly. No, God doesn’t love big churches more. No, unhitching from the Old Testament isn’t a good strategy. No, ones who suggest it from a missional heart aren’t necessarily heretical or false prophets. No, ‘those’ churches aren’t always weak and flashy. No, ‘those’ churches aren’t always boring and irrelevant. No, celebrity pastors don’t always sell out and do it for themselves. No, small church pastors aren’t always humble and selfless. No, your self appointed group is not the standard holding Modern Christianity ‘accountable’. No, the solution is not to dissolve all accountability. No, systemic racism is not over or a made up myth. It’s real. No, the ‘white man’, or men in general, are not to blame for all our problems. No, our government leaders aren’t Messiahs. No, they aren’t completely evil and incompetent. No, atheists aren’t always smart. No, Christians aren’t always smart. I hope that, like me, you were able to see some people or institutions — or most importantly, some part of ourselves — in what Mark wrote. All our online activity, from scholarly insight to common ranting, won’t in itself change the world or advance the Kingdom. That’s up to me and you. Yesterday I had a conversation with a woman who teaches a pre-school class on Sundays and wants the kids to learn The Lord’s Prayer, preferably as she learned it in the King James Version. While she’s not hardline KJV-only (unless she wasn’t playing her hand) she made the case that if kids can start learning a second language by age 3, they should have no problem with a variance on the English they already know. Bible memorization is at an all time low in many Evangelical churches. She’s committed to a worthy goal. The KJV, with its unique voice, can be quite easily committed to memory. Going off a single script means kids may choose a translation randomly; each learning something different. The flowery and ornate language of the KJV simply isn’t how people communicate in today’s world; it detaches the words from the 21st Century. The formality flies in the face of the warmth of the use of the opening Abba (Daddy) in the original language. Of course, a generation raised on the KJV version of The Lord’s Prayer is not the generation that’s dropping, like flies, out of church. There are dones and nones in my cohort, but they are a distinct minority. While I still insist that it’s time to move on, that version served us well. In the end, whether she uses the KJV, The Voice or anything in between; I hope she teaches the meaning behind the prayer; I hope the kids can take ownership of what it really means to pray for the advancement of God’s Kingdom agenda and the carrying out of his will; to petition him for daily provision; to confess the areas where we have missed the mark and seek his help in avoiding them in future. To affirm at the end that it’s all his. But more important, I hope they don’t miss the intimacy and communion that Jesus intended for his disciples when he taught them what was then a very radical approach to prayer. The church in which I spent my teenage years ultimately left me with a stronger memory of testimony than teaching. The various guest speakers who came through always had a story to tell and while I can now name-drop so many North American pastors and musicians to whom I was exposed, I think I experienced that at the expense of some Bible learning I would need to catch up on later. In our Junior High, Sr. High and College and Career Sunday School classrooms, Christian businessmen from the congregation would drop in to share something with us; either a testimony of how they came to Christ, or how they are able to honor Christ in their workplace. One in particular was a frequent guest. He worked in an industry that was known for its propensity to corruption. I was too young to appreciate the nuances of the term “money laundering,” but if that was that your goal, his vocation would be the career of choice. So as a Christian, he always told us about the various ethical temptations which confronted him on a daily basis and how he always had to choose to do the right thing. “I am a Christian;” he would tell his customers, “So I can’t write up an invoice for a different amount than what you’re paying.” I think we teens and twenty-somethings were suitably impressed that he was an excellent Christian. I wonder where was the man or woman who could have come to us and said, “I was just reading something in Luke’s Gospel this week that really struck me as appropriate to the things you face at school every day, and so I asked if could come for 2-3 minutes and share it with you.” Who instead of radiating the joy of maintaining great moral standards in the face of a slimy business environment could have radiated the joy of discovering something in scripture he or she had never seen before. 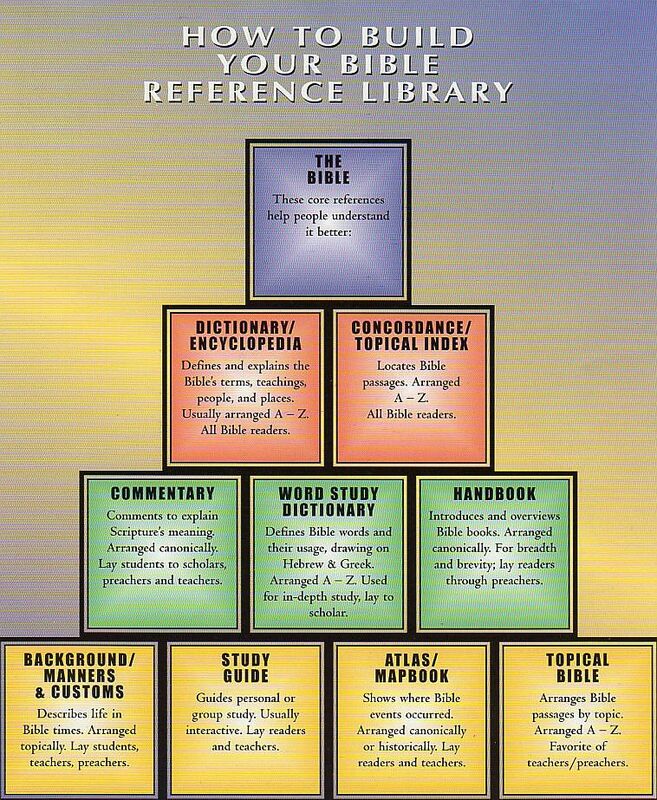 Who could have given us an overview of how the books of the Bible were arranged and how to interpret different genres. Who could have explained what made our church different than the ten or twelve churches we had to drive past to get there. While touring a church on a recent vacation day, I was taken to this church library where I simply had to take a picture. I love books and am a product of the power of Christian resources. In Evangelical parlance, the phrase “the color of the carpet” is used as a euphemism for other superficial issues which can serve as a distraction to true worship and fellowship. It functions in the place of a myriad of other topics which can be divisive in the life of a Christian congregation. I’ve always sworn I would never be a “color of the carpet” type of person. Some things are worth making a fuss over, and others should be consigned to the periphery of church concerns. At some point over the course of the summer they removed the church library and gave the contents to a local thrift store. And I find myself seething. So in order to justify myself, I have to be convinced that this is more than superficial; this is not about the color of the carpeting. Here’s why I am so strongly persuaded. This was someone’s ministry in the church. This was a ministry that someone had poured their heart into for the better part of a decade, receiving an annual budgetary commitment, but little else in the way of enthusiasm. The person was away for six weeks visiting family in another part of the country. They did receive an email warning of what was to come, but little could be done at a distance of thousands of miles. This person deserved some opportunity for closure even if it was one last opportunity to view the boxed-up collection. I list this factor first because as a family, we experienced grieving the loss of a ministry, more than once, at the hands of this same church, and so we identify strongly with this particular aspect of the closure. The library showed the value the capital-C Church has placed on writings throughout history. Though many weeks less than a dozen resources went out, its presence in the church was iconic in the truest sense of that word. It contained resources for parents, books on basic doctrine and Christian theology, chronicles of the history of the denomination. There were Bibles, videos, CDs, and a host of teaching materials instructive for children. Donations kept the collection fresh. The people, myself included, who donated resources for this were invested in this particular type of ministry. Some books had been given just weeks before the whole thing was eradicated. The resources belonged to the congregation. People should have been told about the closure weeks ahead, and had the opportunity to take books of interest and make them part of their home library. They belonged to the people of the church, not the church staff. They could have helped another church that wanted to have this ministry in their church building. This is a denomination that keeps talking about ‘church planting’ and ‘daughter churches’ and being a ‘network of churches,’ but I doubt any were offered the contents of this already-carefully curated collection. Some would be saddened to know what they missed out on. They could have sent the resources overseas. Again, as a missionary-minded denomination the idea that the collection wasn’t considered to send to pastors and workers who were unable to take their libraries with them to Third World countries is equally perplexing. On a personal level, as an area volunteer for Christian Salvage Mission, I know the organization would have embraced this acquisition with open arms and heartfelt gratitude on behalf of North American pastors and English-speaking indigenous workers in Africa and Asia. Instead, I wasn’t given the slightest inkling that this was in the works. They kept two racks of fiction. This was the most disturbing thing of all; what was kept. These shelves are now located in the church’s new café and someone noted that some were books with exceptionally loud colors on the spines. If you were going to keep fiction, these were some of the worst choices. In other words, these books are props. They are being used solely for decorative purposes, to create atmosphere. They may be deluded that electronic media has replaced books. This church recently signed a contract with Right Now Media, giving church people free access to a large grouping of video content. This is fraught with issues. Video teaching is not the same as learning off the printed page, nor is long-term absorption of the material as great. Older people in the church won’t bother to sign up for Right Now or figure out how it works. The mix of authors and teachers with online content is totally different than those who work solely in print. The library would have complemented the other service. Now they’ll never know if that would have happened. The space will not see a higher purpose. Looking at that empty room, I wanted to be optimistic; I wanted to say, “Prove to me that what you’re about to do in this space is better than what you had.” It absolutely won’t happen. The church bylaws are flawed. Major expenditures require approval in a congregational meeting, but the jettison of a major church asset requires no such approval. Given the number of now out-of-print titles that were displayed alongside more recent titles, I’d put the value of what was effectively trashed at at least $20,000 — books aren’t cheap — and that’s an informed opinion of someone working in the publishing industry. So you need to call a vote to acquire larger things, but you’re free to simply give away previously-acquired larger things? No. Not a good idea. For churches or families. Churches operate on the basis of consensus. …I’m not sure where I’m going to church this Sunday. I have real issues with this. I’ve become what the church staff may say is a “color of the carpet” curmudgeon. I don’t care. It was plain wrong. The stakeholders weren’t consulted. A horrible decision. Now there’s no turning back. Could Your Worship Leader(s) Pass a Basic Theology Test? What just happened? I was trying to make the connection between two elements of a single spoken section between two worship songs, but I figured I had just missed something. Someone came to me after the service and asked what I thought. I said I didn’t think it made any sense. They said they thought it was heretical. Last night my wife and I continued the discussion. A pastor was once expected to spend an hour in study for every minute in the pulpit. 30 hours preparing the sermon. I don’t know what the expectation was if they also had to do a different sermon in the evening service (back when churches had them) but I’ve known pastors who if they don’t hit 30 hours come respectably close. One I know these days always has books and commentaries spread out on his desk throughout the week; and the payoff is evident with each new message. So if a worship leader is going to have five minutes worth of patter between songs, should they not spend five hours preparing that? I know worship leaders that have spent a long time, in addition to selecting the songs, in preparation for what they’re going to say at the beginning and little comments interspersed throughout the worship set. Could your worship team leader(s) pass an elementary test of basic theology? Could your worship team leader(s) provide helpful counsel to someone who seeks them out after the service? 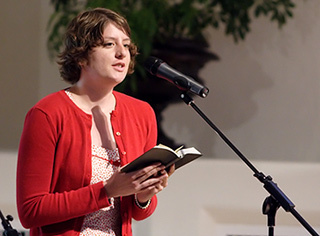 Could your worship team leader(s) deliver a homily; a message; a sermon if asked to speak in a format longer than the short song introductions they give at weekend services? I wonder how much thought is given to this when interviewing prospects for paid positions in the modern Evangelical church? Have you ever experienced really bad theology during a worship set? Does your church let the worship leader say much or is their mandate to simply play music? If the modern Evangelical expectation is that pastors have a Masters level education, should there be a lesser but similar educational requirement for worship team leaders? The IVP art director who designed N.T. Wright’s Bible study series had a thing for boats. 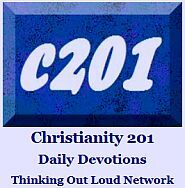 Today’s topic deals with an internet reality that is filled with complexities on a number of levels for churches and people organizing independent fellowship groups and Bible studies. 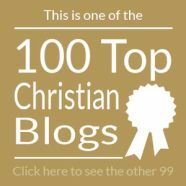 Before delving into the meat of today’s subject, I want to address two potential situations which can exist in a majority of churches, at least in North America. 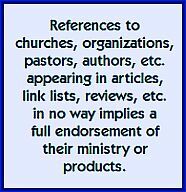 In some churches, individual leaders are charged with sourcing and ordering materials for different ministries within the church, and expenses are reimbursed either through charging participants, or from the general fund account. 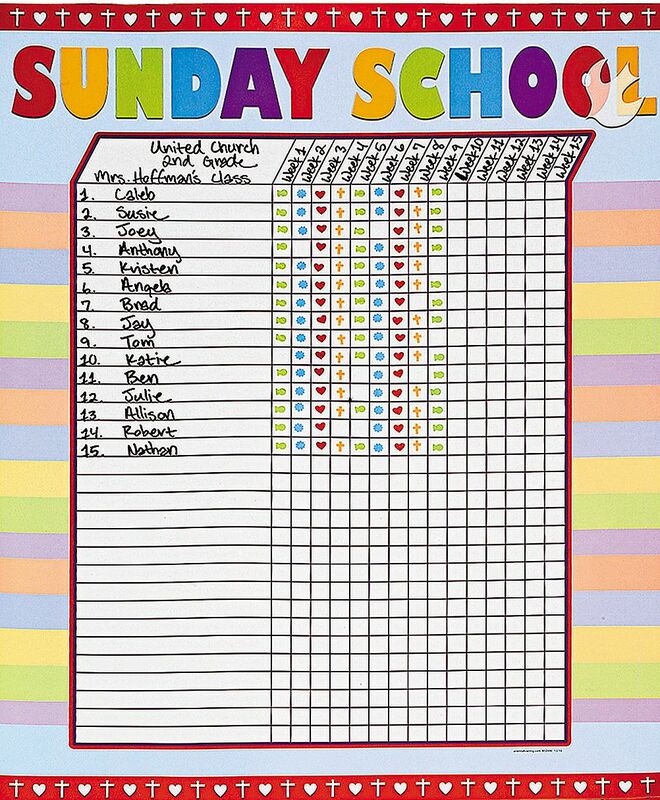 In other churches, study material is a ‘top-down’ decision, with paid clerical (or administrative) staff choosing what each group will study and ordering it themselves on the group’s behalf. The problems we’re discussing today generally apply to the former situation, though can also take place in a surprising number of cases involving the latter situation. So…the group leader, capitulating to an internet shopping world goes online and discovers a particular resource for their small group that seems to fit the bill. It’s on the book of Philippians, which is exactly what they want. It’s a fill-in-the-blanks format, which is exactly what they want. It runs ten weeks, which is exactly what they want. It’s under $10 US per book, which is exactly what they want. The search process lands someone on a website not realizing it belongs to an even further-removed group such as LDS/Mormon or Jehovah’s Witness and is impressed enough to delve further into their writings, never returning to their place of origin. 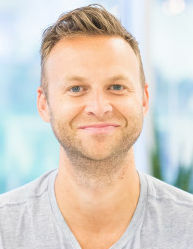 The product they followed up on when they typed their criteria into a search engine belonged to a commercial publisher or distributor who was paying for search engine optimization (SEO) or even a paid ad itself. The internet isn’t very discerning; it follows an algorithm to obtain results depending on what you type. But too many search terms can also send it off the rails. The person searching isn’t very discerning; they are not trained in terms of knowledge of who it is behind the website or the publisher. Some of you who know me know that I continue to advocate on behalf of remaining Christian bookstores. This is the best way to source material because it has been vetted both by the above publishers and the individual store owner, who is a professional in this field. Additionally, some authors who have books issued by the above publishing houses, have chosen to do some of their small group material in-house in order to capitalize on the smaller profits necessitated by smaller print runs. It’s hit and miss on whether local stores can get these, and the situation is greatly complicated for people living outside the US, where the shipping and handling costs are prohibitive, unless they’ve arranged for a representative in that country to stockpile copies for buyers there. It reminds me of the story we carried last week on our trade blog, where a woman was looking for fall Bible study material in a thrift store. She had found an old book — and I’m not saying it wasn’t a worthy resource to use — and now wanted to order ten of them. …I shudder to think people don’t realize that hoping to find your church’s adult elective curriculum in a second-hand store is rather foolhardy. Ultimately, you can’t get this type of service from Amazon and you’ll never get this type of product discernment using a search engine such as Bing, or Google. Admittedly, I am biased, but this simply isn’t the way to shop for materials for your study group.